After a tiring week, Sunday should be the day that I can relax and dress comfortably. This is the day when my family and close cousins meet over a dim sum lunch. Hence this should be a big reason for me to ditch those tight-fitting clothes. First, those eye-rolling and head-shaking are just unnecessary . Second when I eat, I REALLY eat. Honestly the bloating won't be cute after. The trick is not to mistaken "comfortable dressing" as a reason to wear dreadful and ill-fitting clothes (exception when you are home or Gigi Hadid). 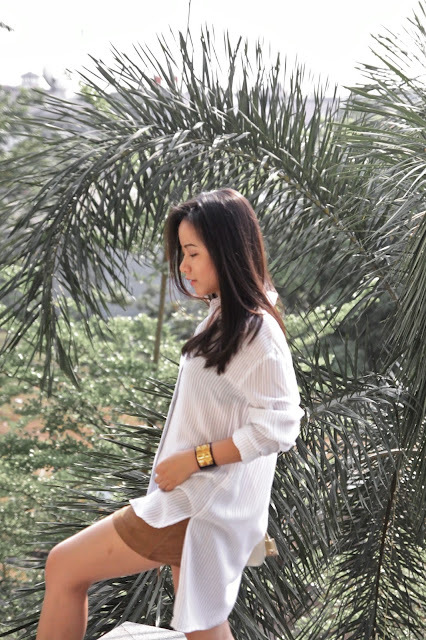 To me shirts are amazing as I can achieve different looks from formal workday to Sunday effortlessly chic looks. I believe everyone should must have at least one white oversized boyfriend shirt in their wardrobe. It is a great classic and comfy piece to wear over jeans or shorts, perfectly suitable for Sunday mass as well. I recently spotted this shirt from ZARA and I just knew I have to have it. To make the outfit looks smarter and less sloppy, I paired it with heels, plus a statement bracelet like Hermès Collier de Chien will do the whole outfit justice. 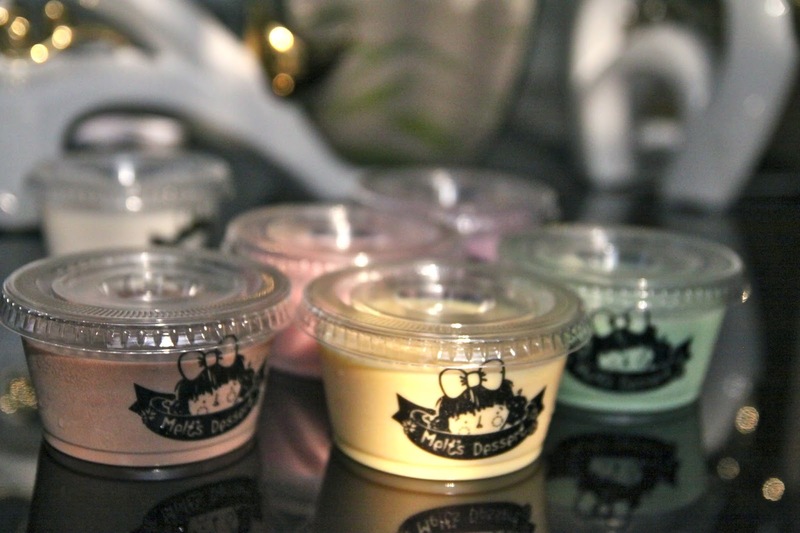 Sunday couldn't get any better than receiving a generous amount of freshly-made puddings. I mean, who doesn't love this sweet melting-in-your-mouth desserts? I love snacking, but I try to avoid fries and other unhealthy snacks. This soft and milky pudding from MELT'S DESSERT is just the answer to my hesitation! 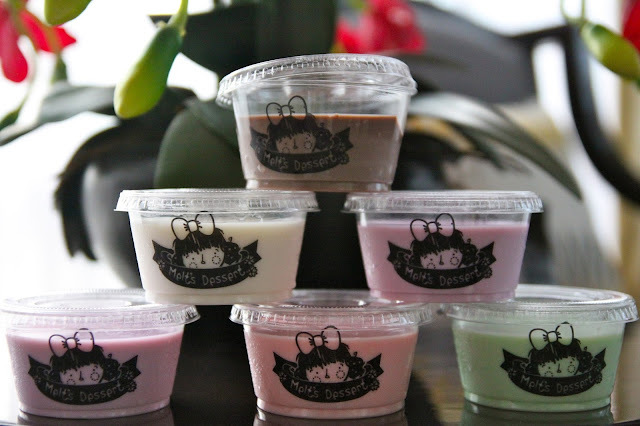 Unlike any other "home-made" pudding stands out there, the owner has poured her great passion to ensure the puddings are absolutely legit and preservative-free. 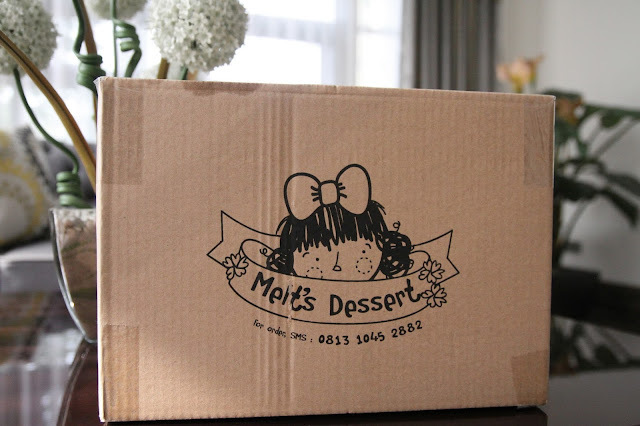 Only the freshest and most delicious puddings are delivered to MELT'S DESSERT customers. Don't worry about the storage as the pudding lasts 10 days inside the refrigerator and up to 5 hours in room temperature. Seperti biasa kamu selalu tampil dengan cantik dan menawan ya Susan.